Our CEO, Michael Fergusson just finished a demonstration of “I ❤ Jellyfish” this morning at the 2011 Body Computing Conference 5.0. Reaction from the audience was awesome. 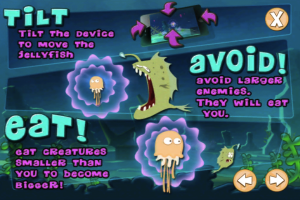 Sonny Vu, AgaMatrix Founder, tweeted, “nice looking jellyfish health game.” And Doctor Leslie Saxon, who organized the conference, tweeted that the game is “very cool!! !” Needless to say, our team back in the office is super excited. So a hearty congratulations to Michelle Parent, Adam Vandyck, Ramon Zarate Saiz and Sven Paroth on a job well done! “I ❤ Jellyfish” is a collaboration between Ayogo Health and USC Center for Body Computing. The plan is to release the health game on iTunes in 2012. 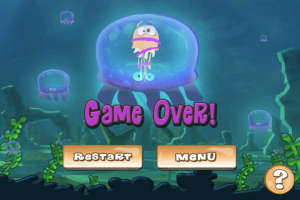 When a player enters the perilous underwater ecosphere of “I ❤ Jellyfish”, their heart rate immediately connects to their jellyfish’s bioluminescence. 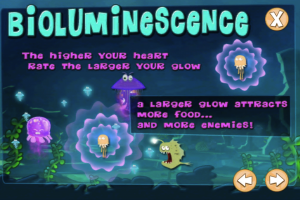 During the game, the player’s fluctuating BPMs or heartbeats per minute changes the radius of light, which attracts all nearby creatures in the sea. Players level up by eating smaller prey and avoiding bigger predators. It is the deft combination of BPM control and phone tilts that steers a player successfully through this aquatic world. 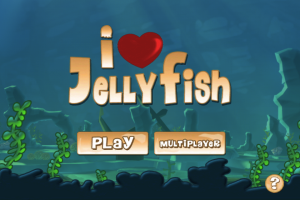 In addition to solo gameplay, this game also has a network play option that allows multiple players to compete against each other to be the biggest jellyfish, with their individual heart rates an observable and active part of the environment. The market version of the game will include a number of social features that will allow players to share their scores with their social graph. For more information about how games can be used to promote healthier behaviour, please contact Michael Fergusson: michael (at) ayogo (dot) com.